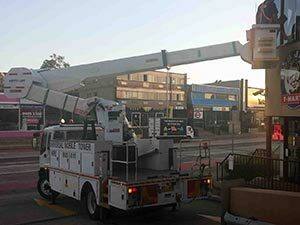 Cherry pickers, boom lifts, and scissor lifts all have different uses. 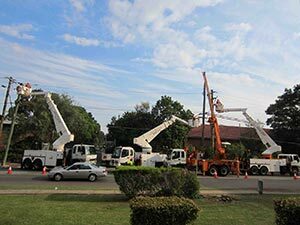 Which is best for your job? 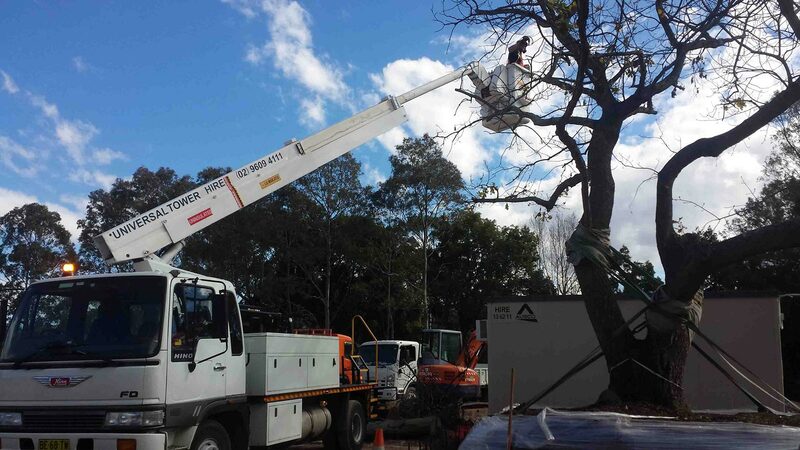 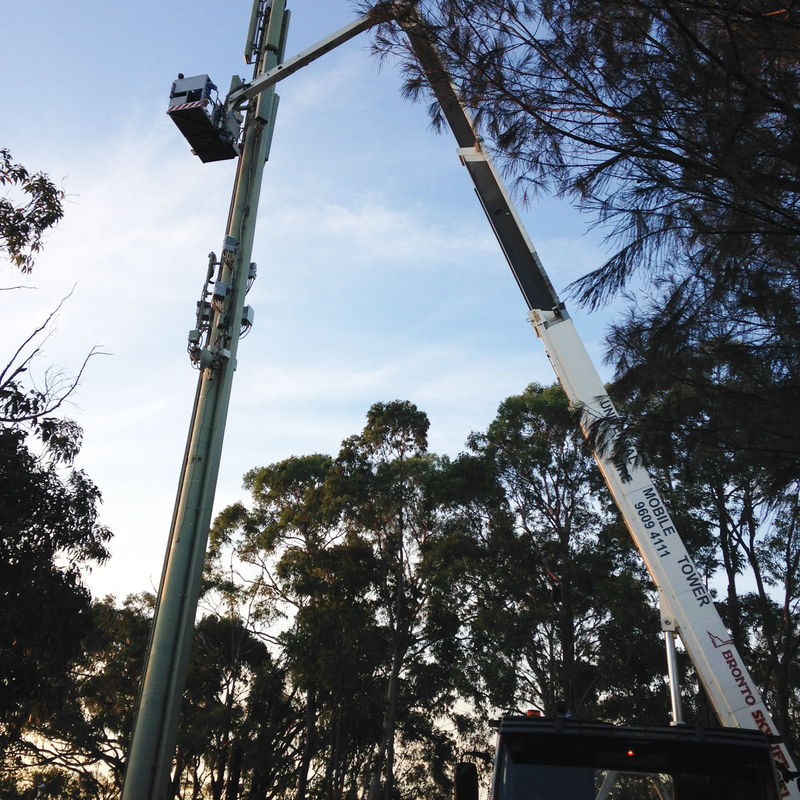 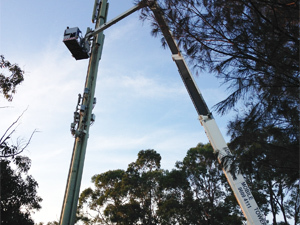 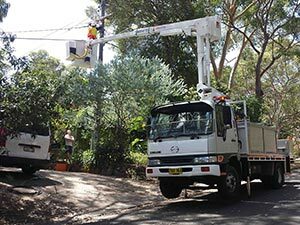 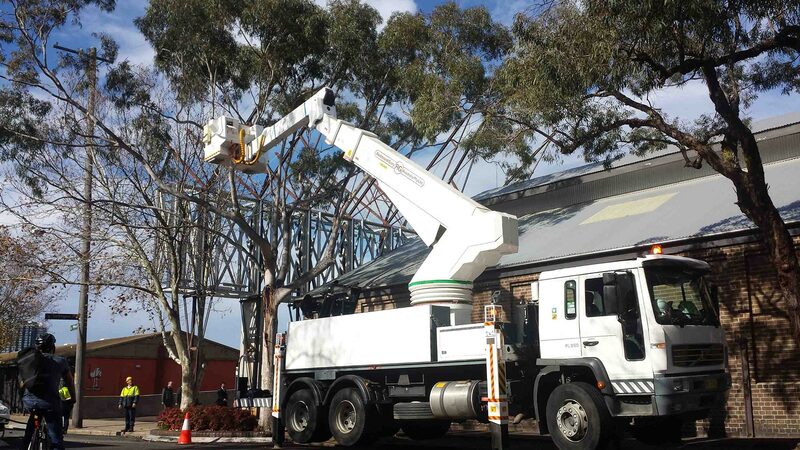 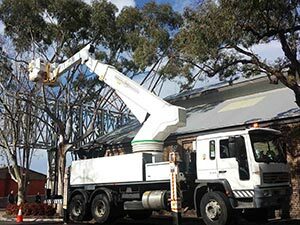 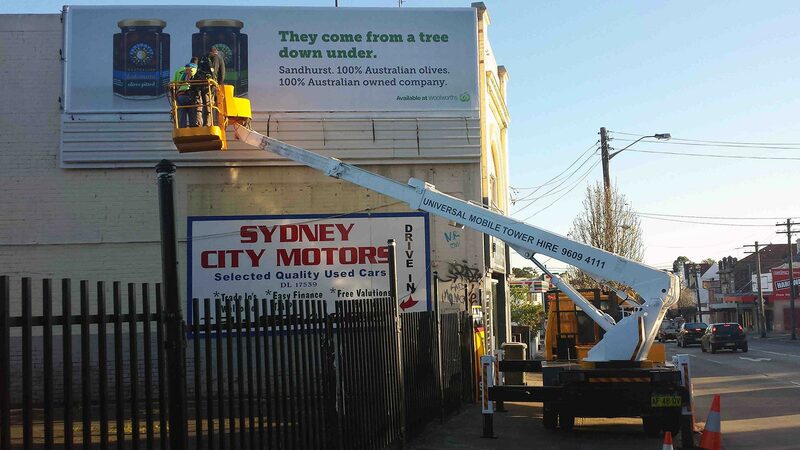 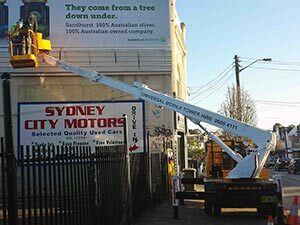 Will a cherry picker be the better choice for a large tree or a straight boom? 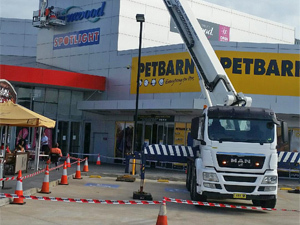 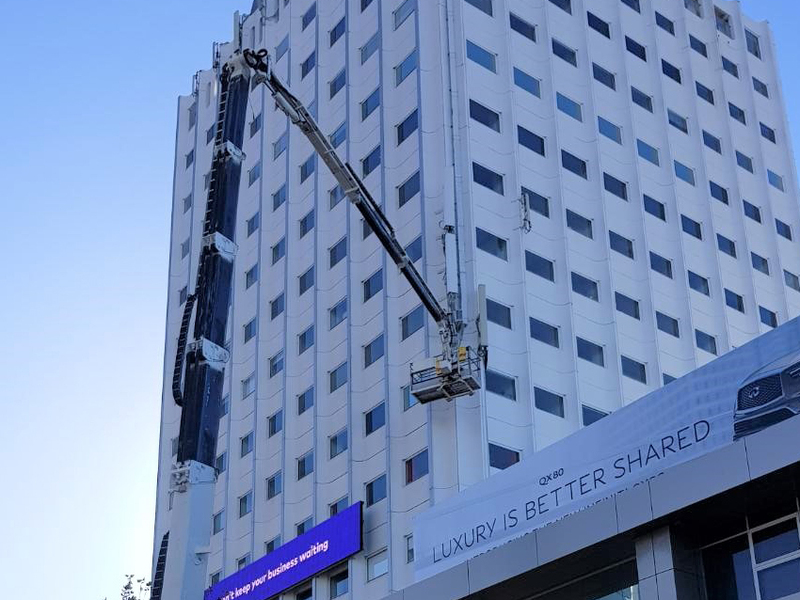 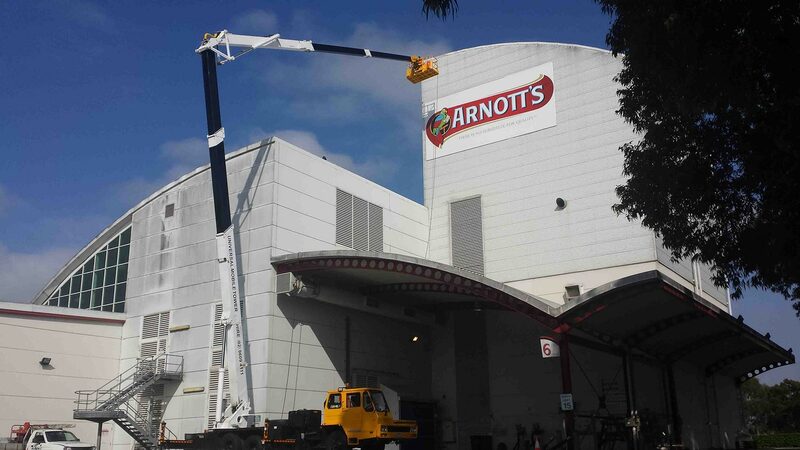 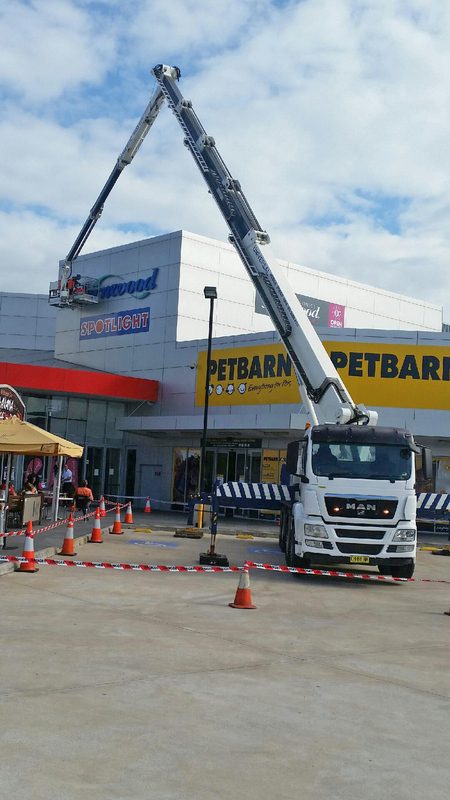 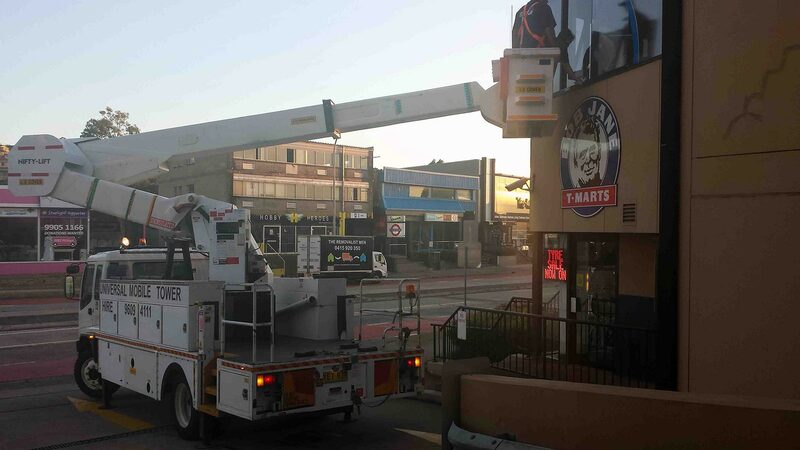 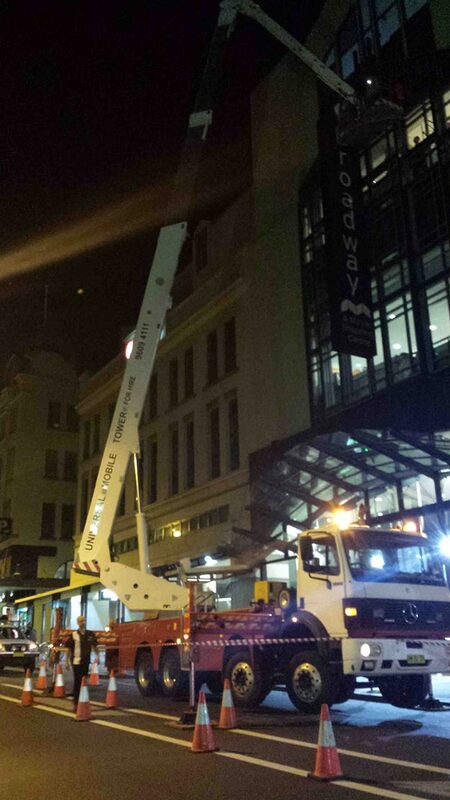 Will a knuckle boom or a scissor lift work for a large sign over a glass awning? 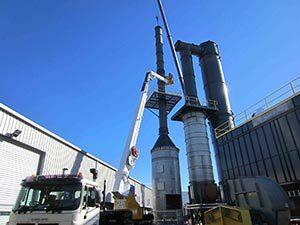 What to use for lighting in a warehouse? 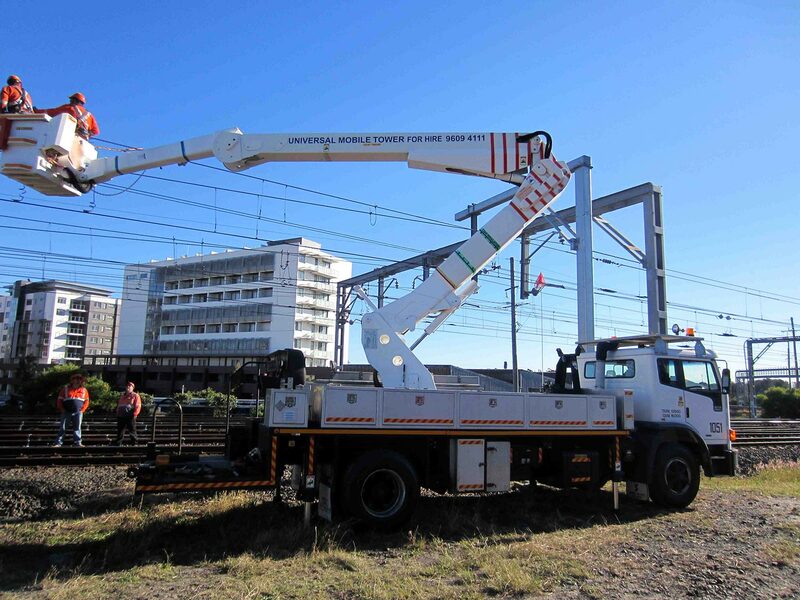 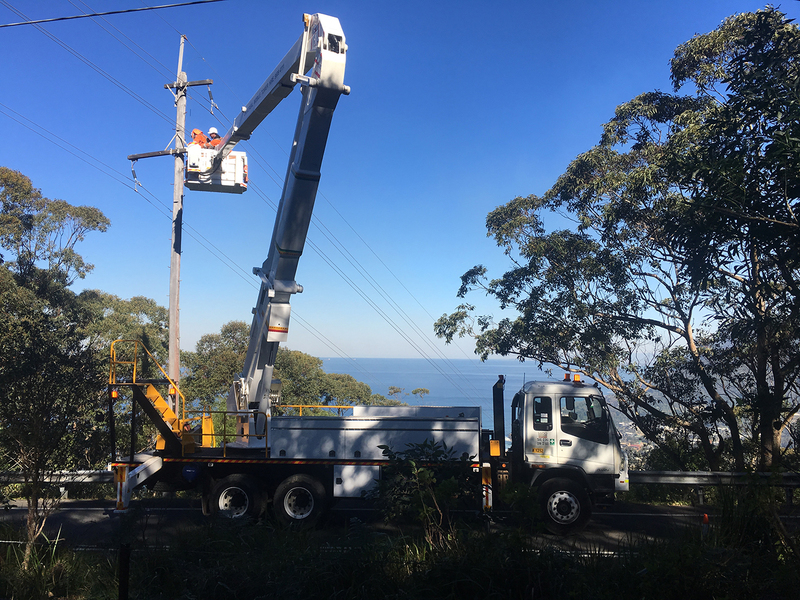 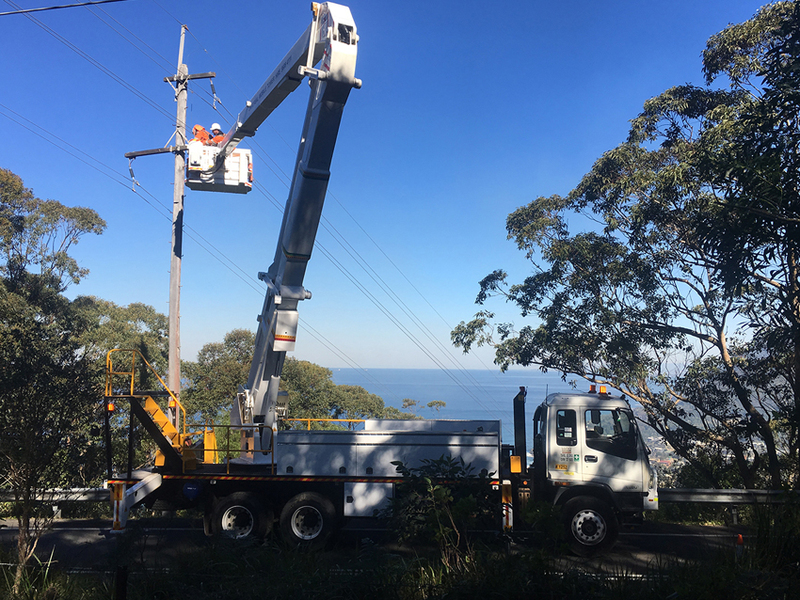 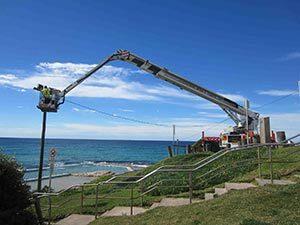 Power lines, awnings, uneven ground, busy roads, and horizontal reach – are all factors in choosing the best machine for the job. 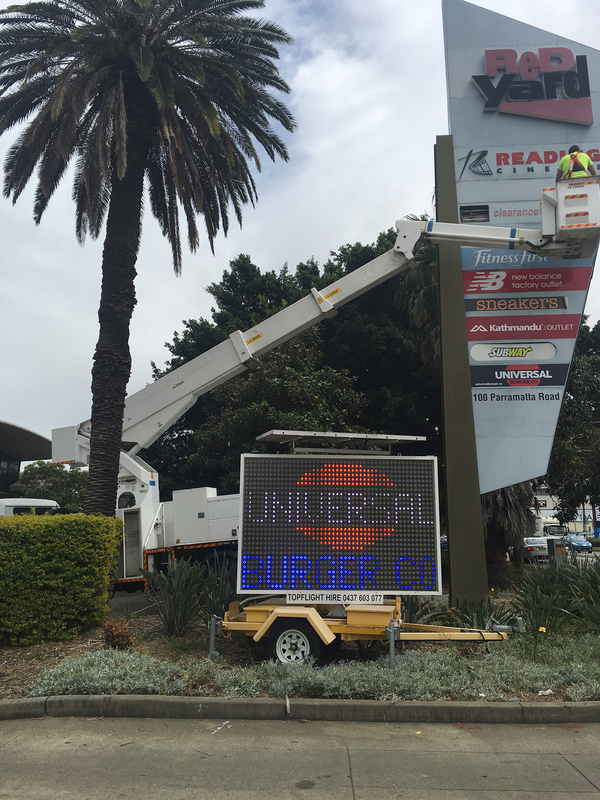 Universal have seen every sort of job site and can tell you which machine will get the job done, faster, cheaper and safer. 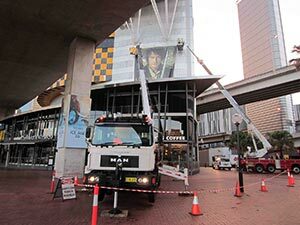 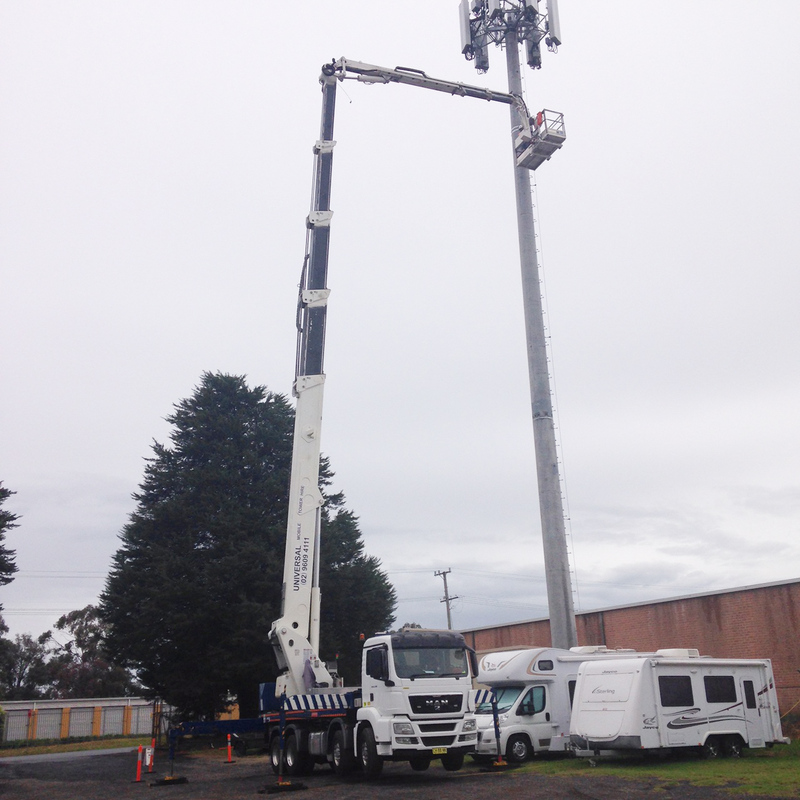 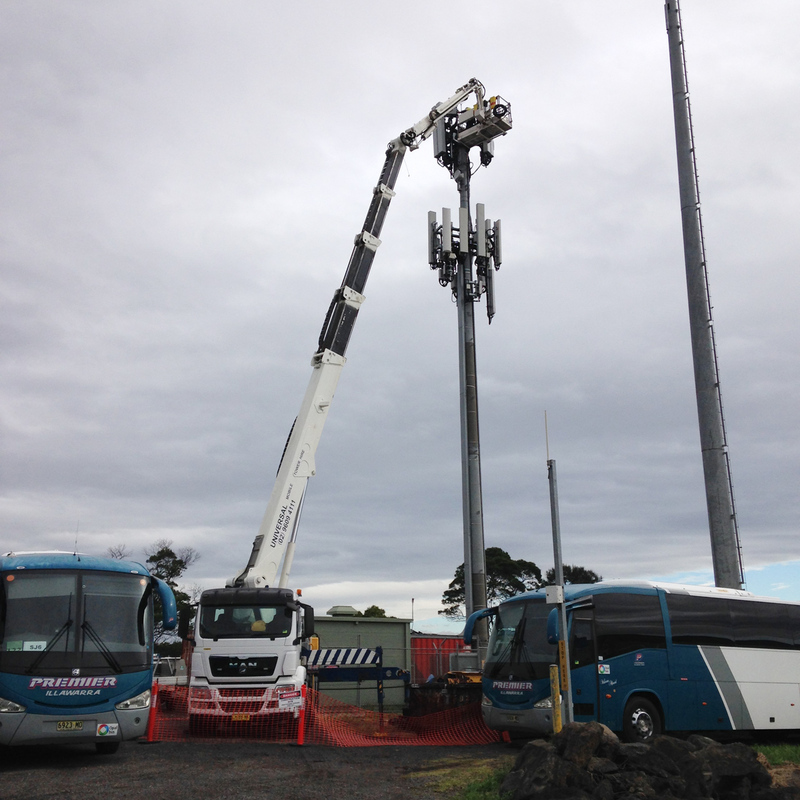 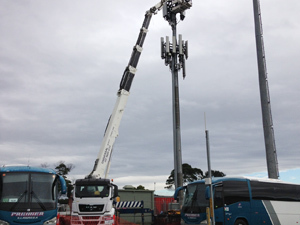 If a travel tower or cherry picker is needed we can assist with permits and traffic management plans. 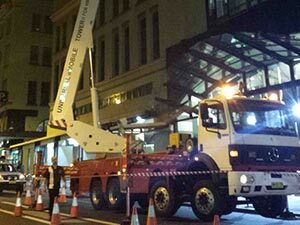 We can also arrange traffic control personnel and equipment. 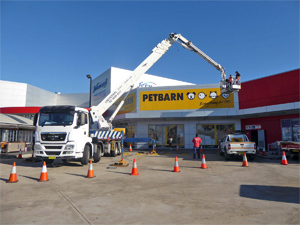 Call us on 9609 4111 for a free site inspection and quote. 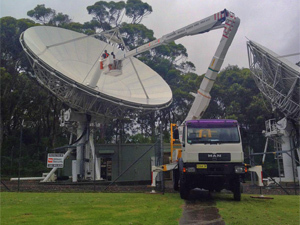 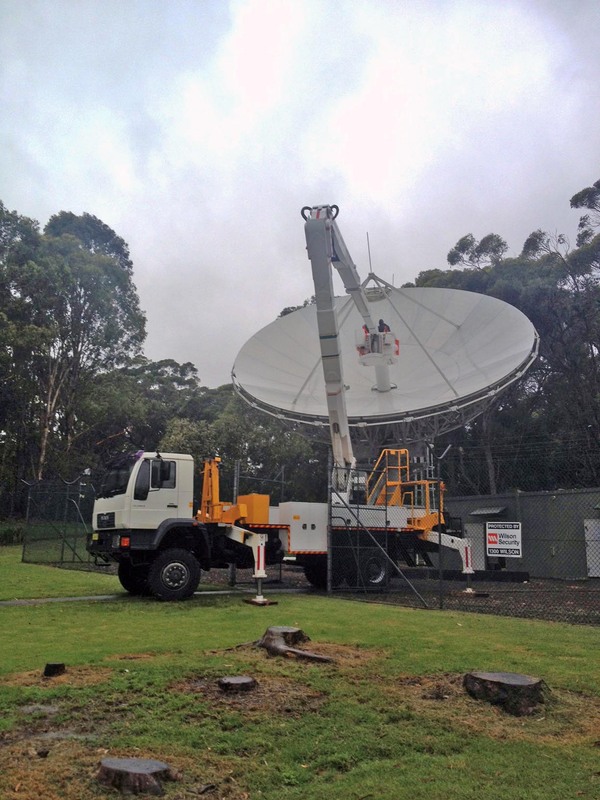 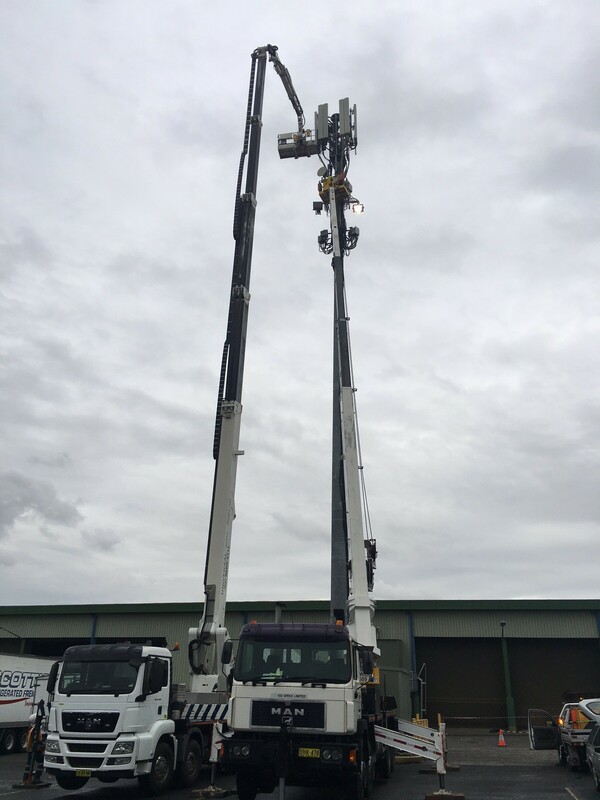 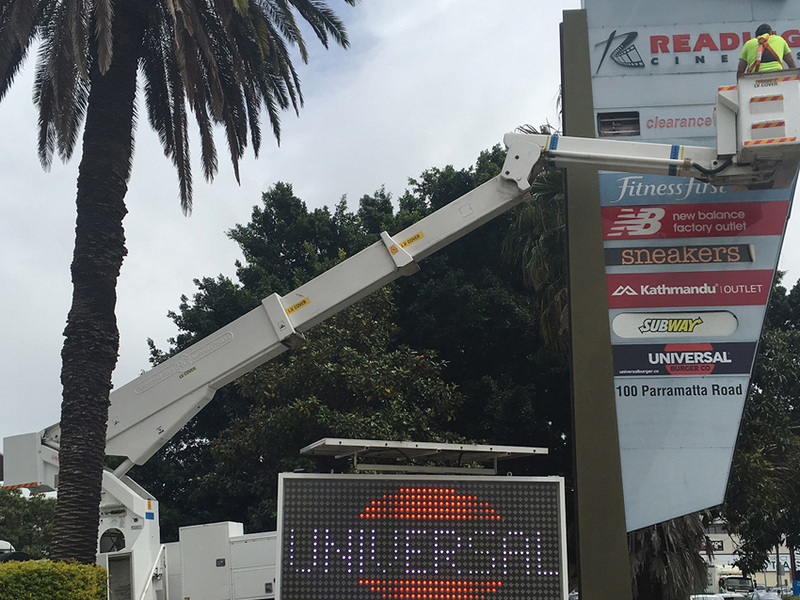 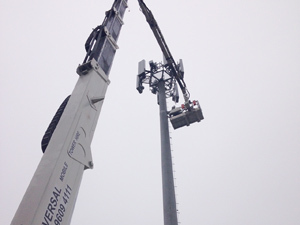 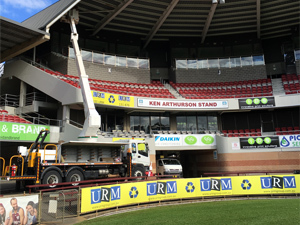 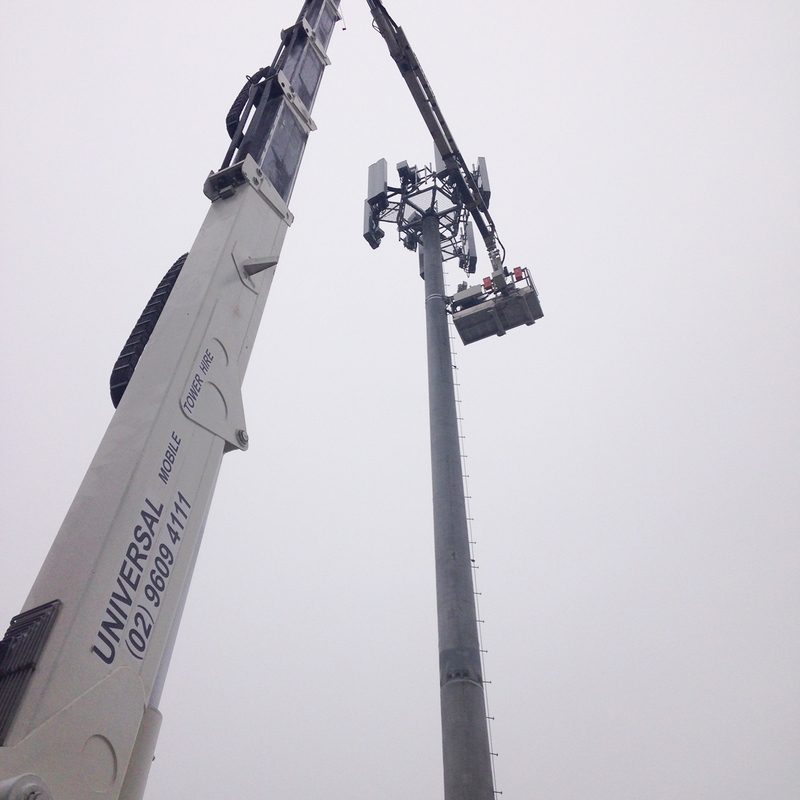 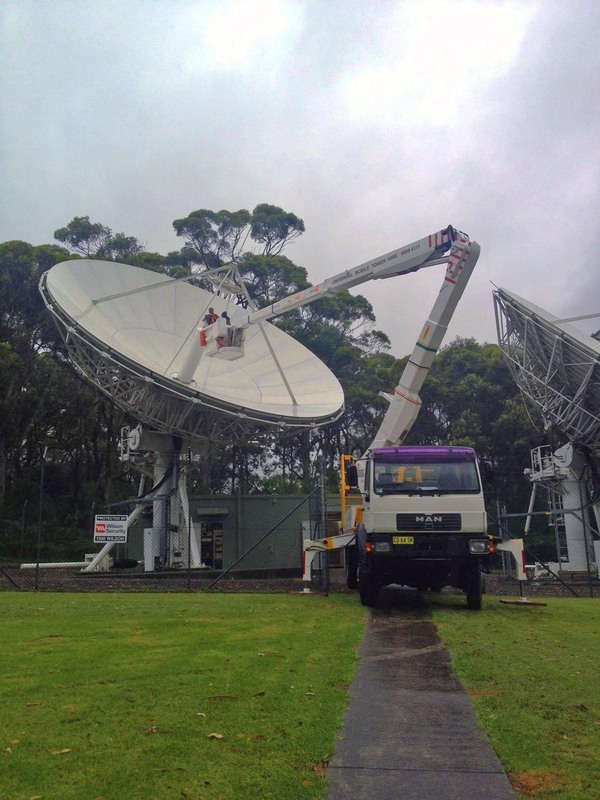 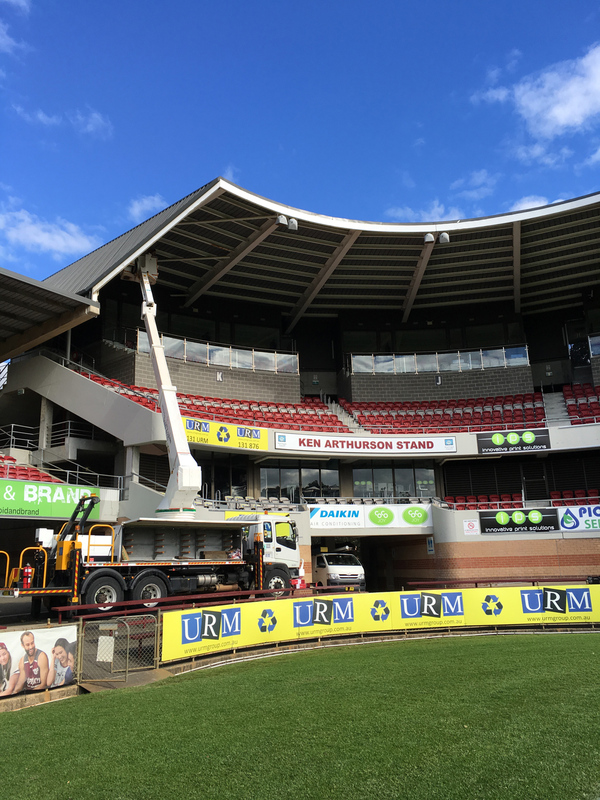 Universal offers long term rates across the full range of travel towers, boom lifts and scissor lifts available. 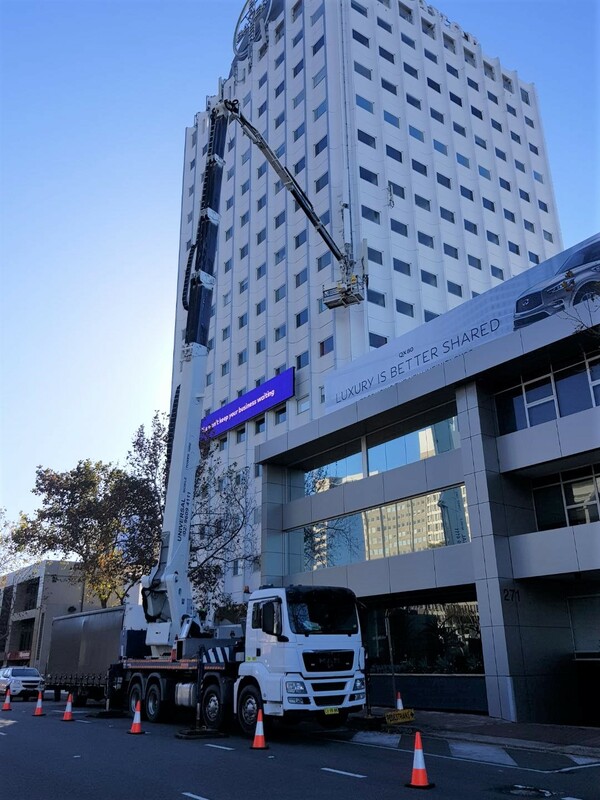 Long term rates are an attractive alternative to investing in an outright purchase especially for limited term contracts and first time contractors. 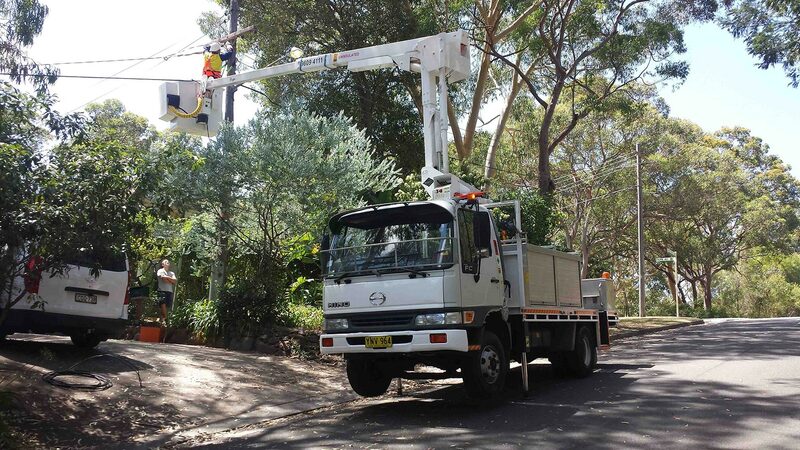 Call us on 9609 4111 for a long term quote. 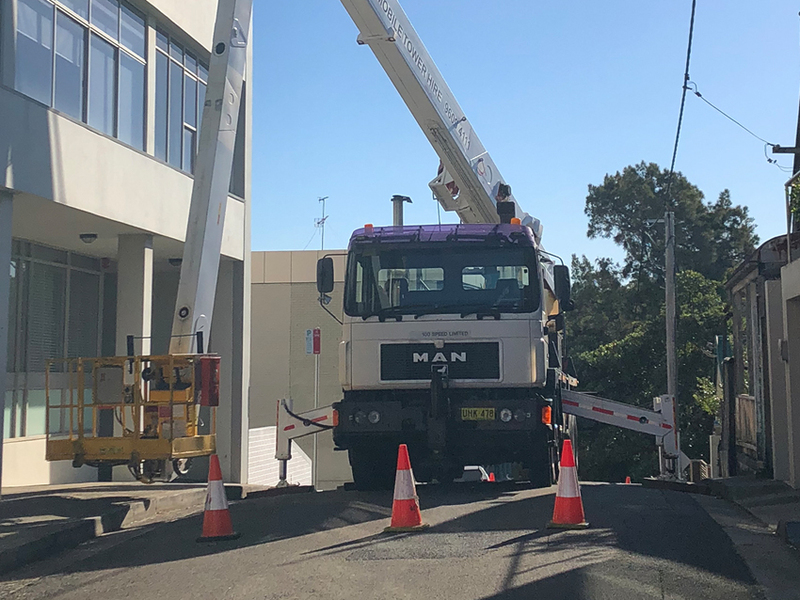 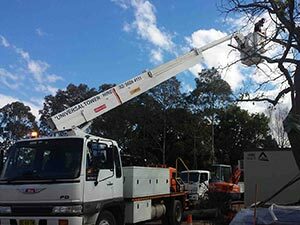 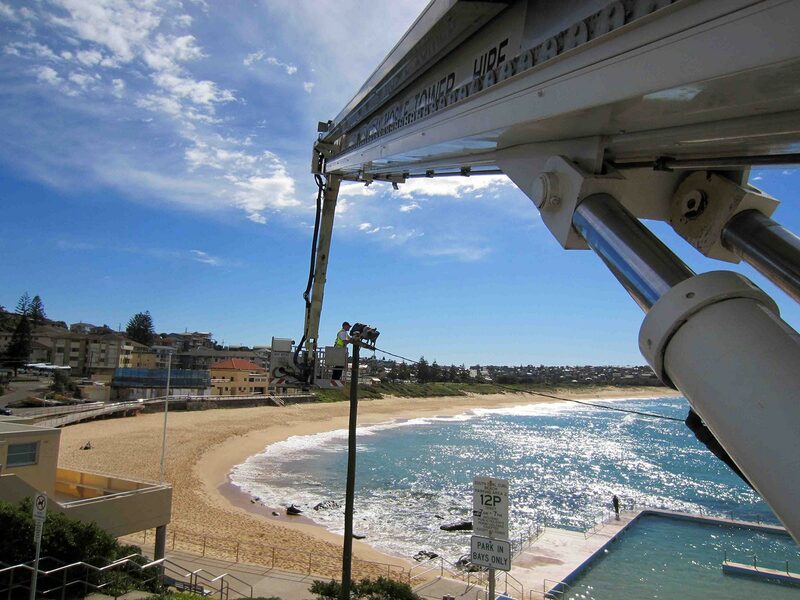 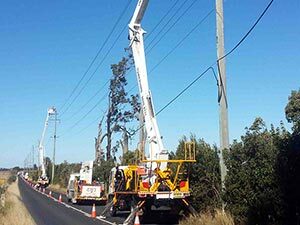 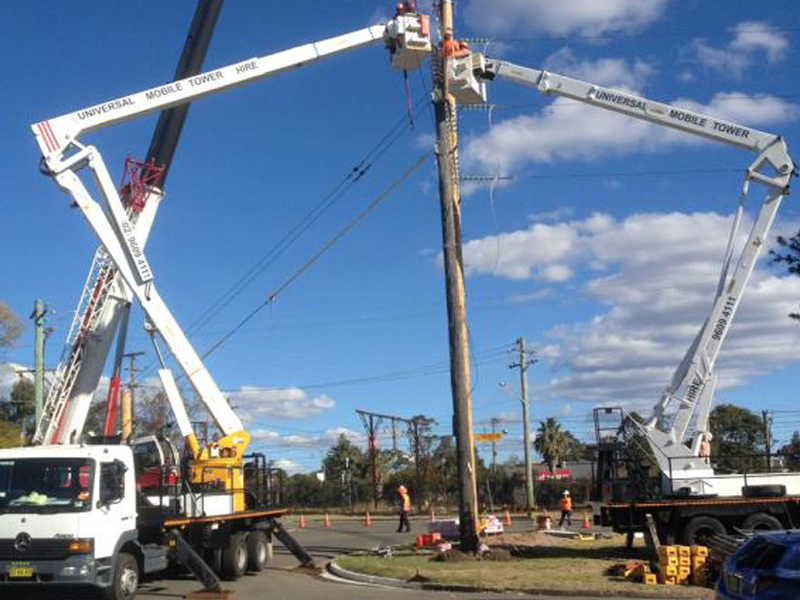 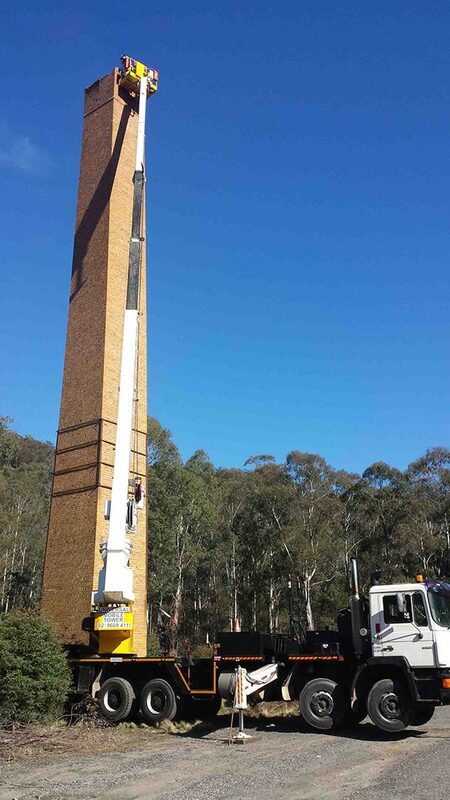 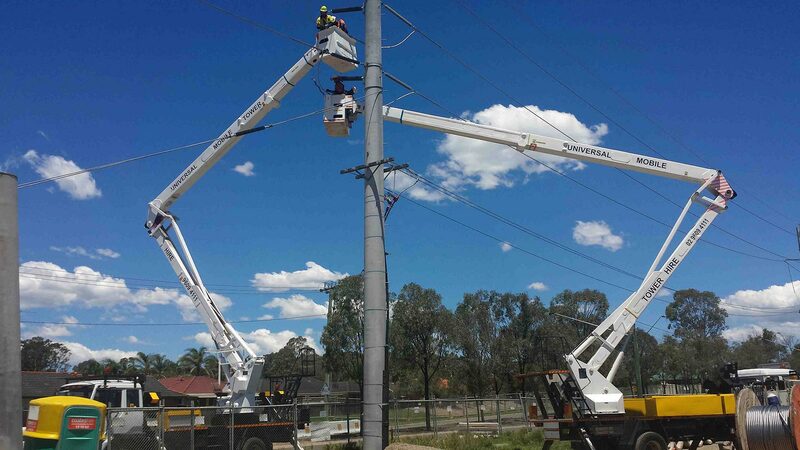 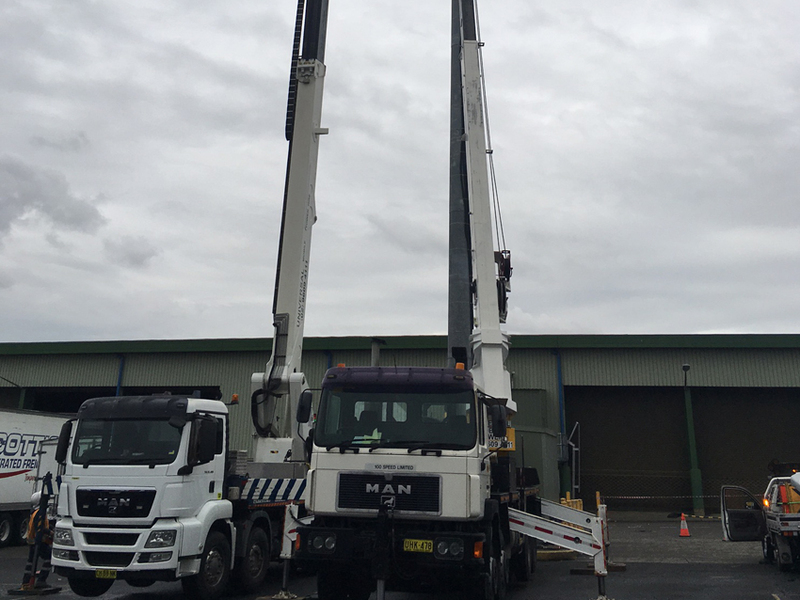 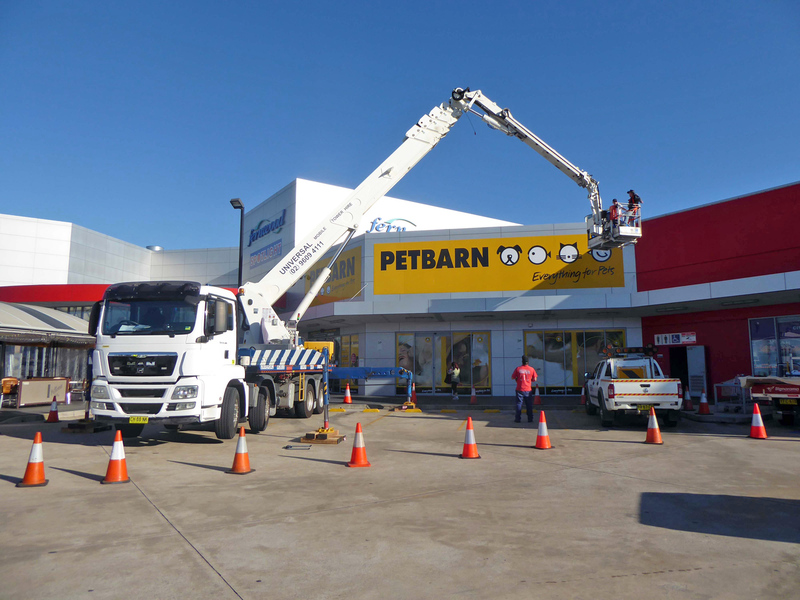 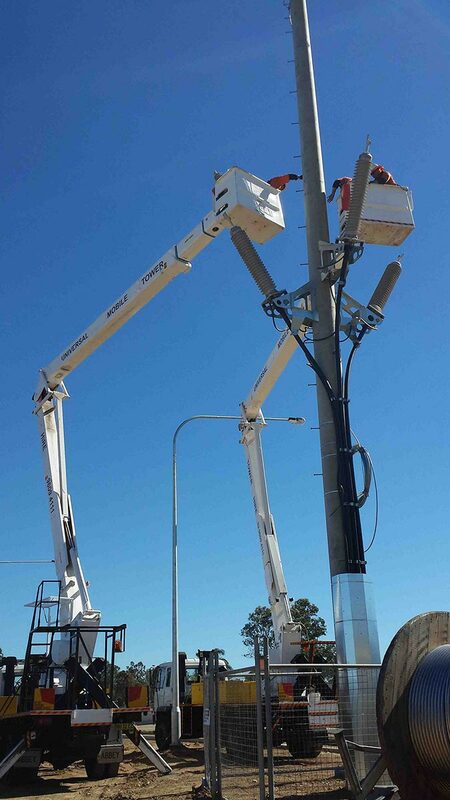 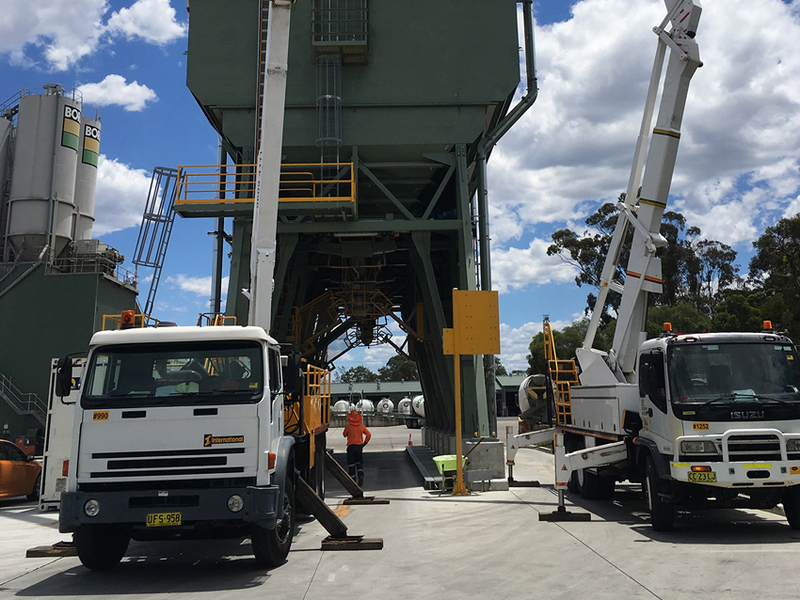 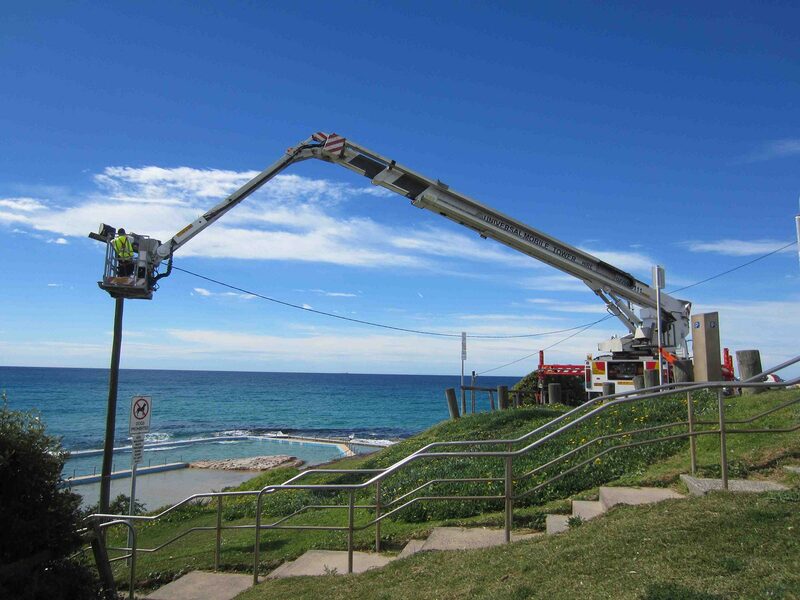 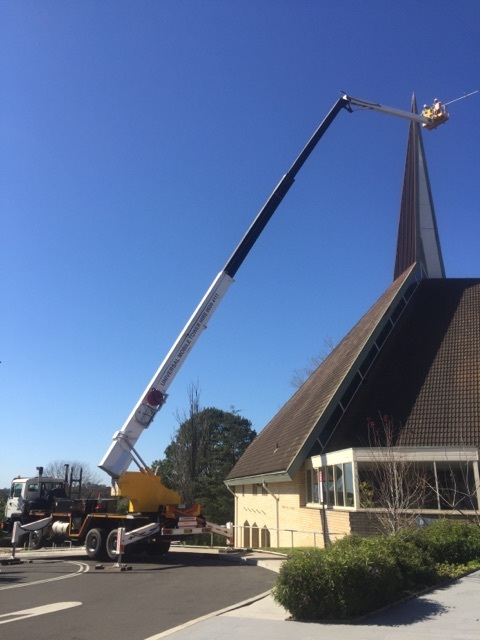 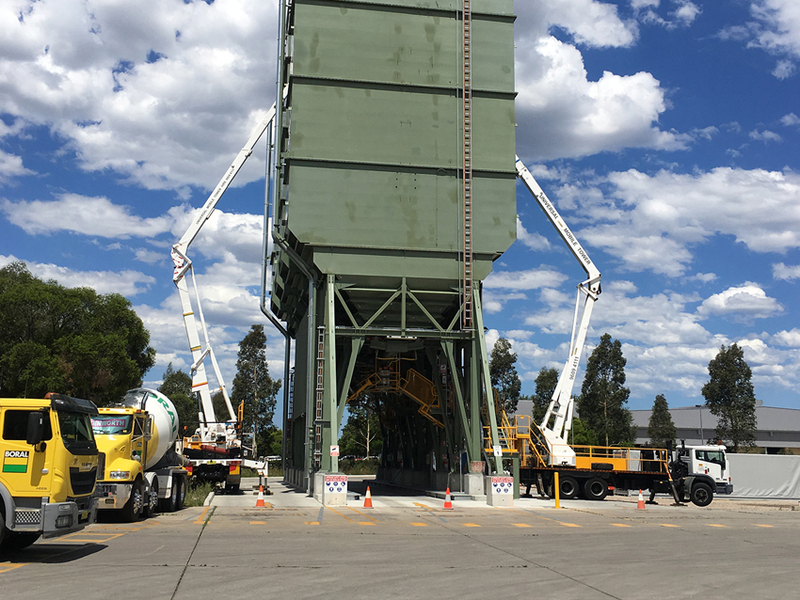 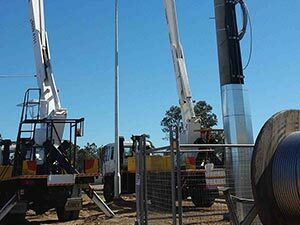 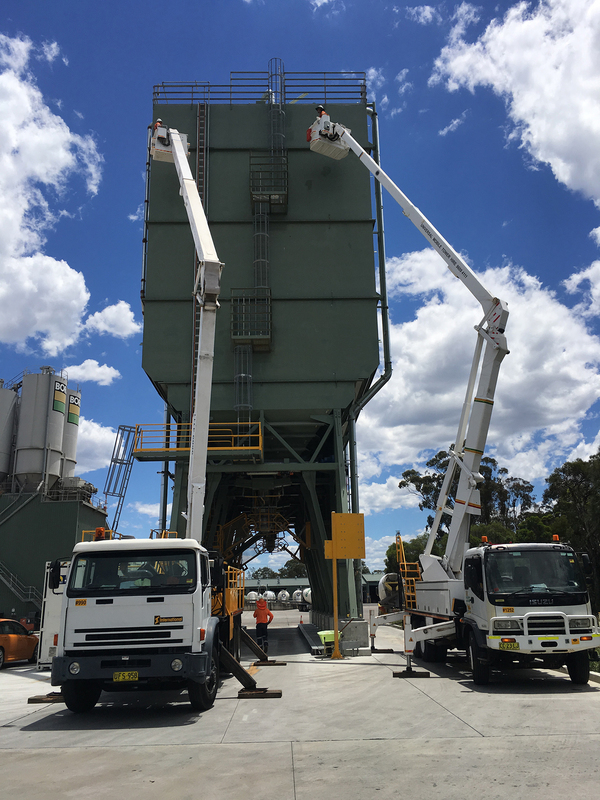 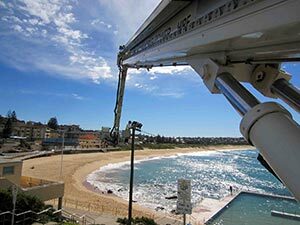 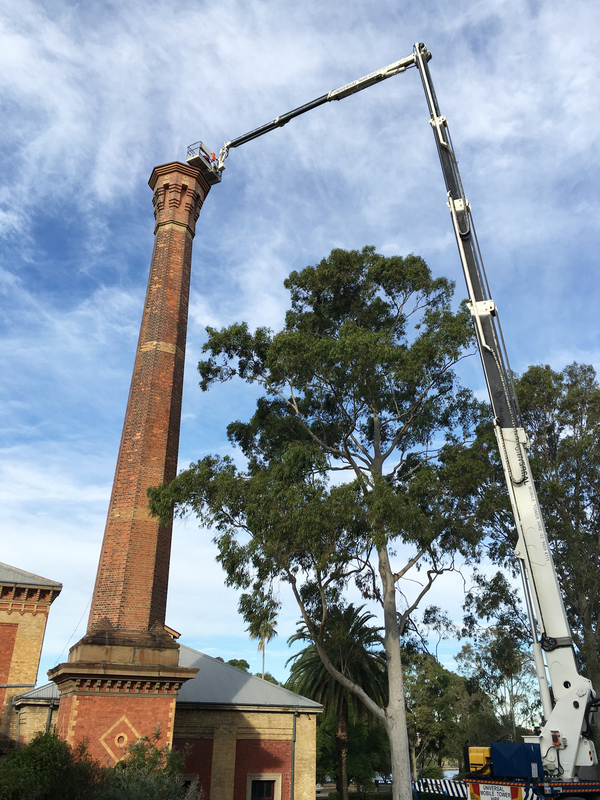 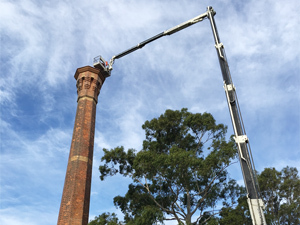 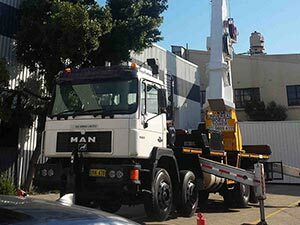 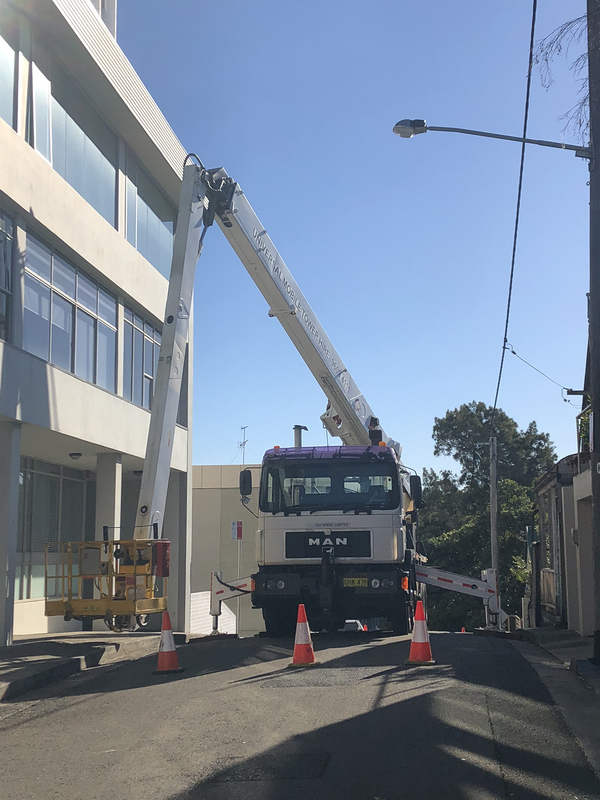 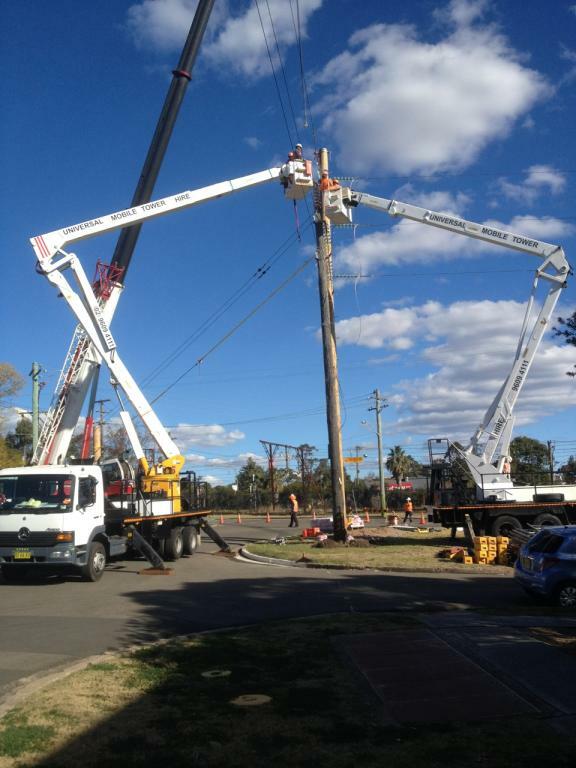 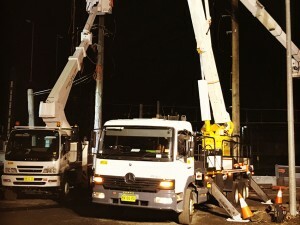 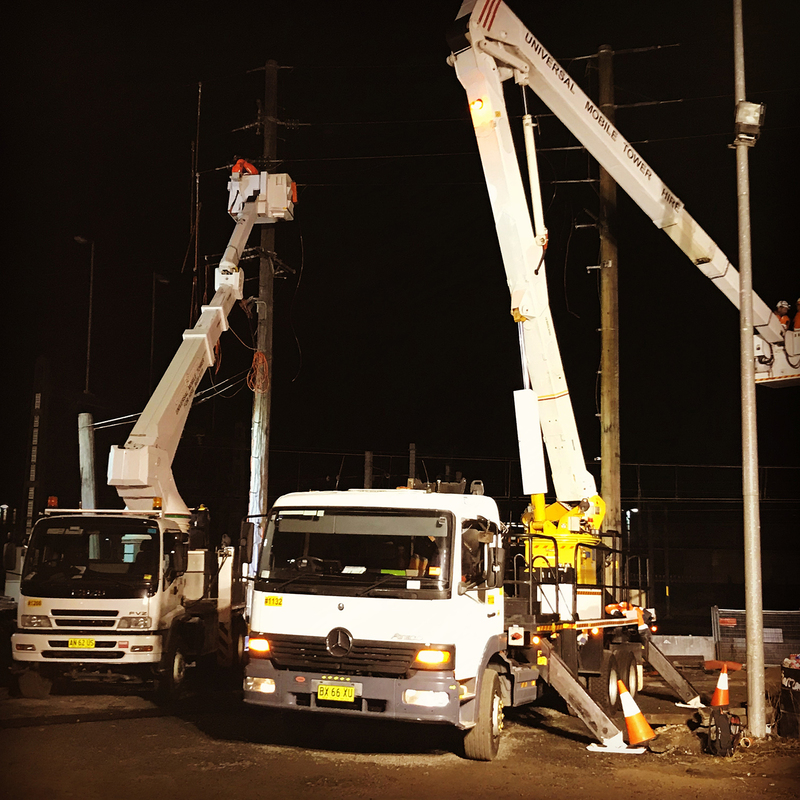 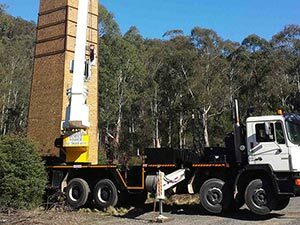 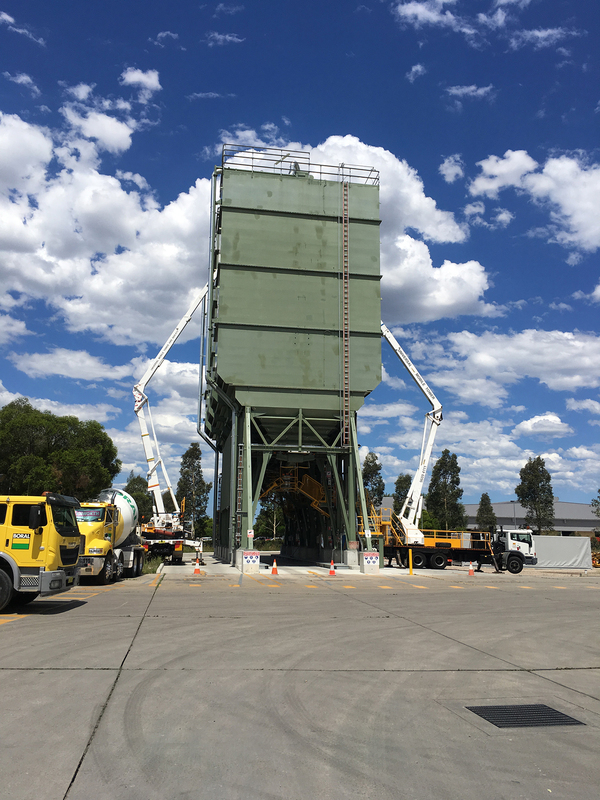 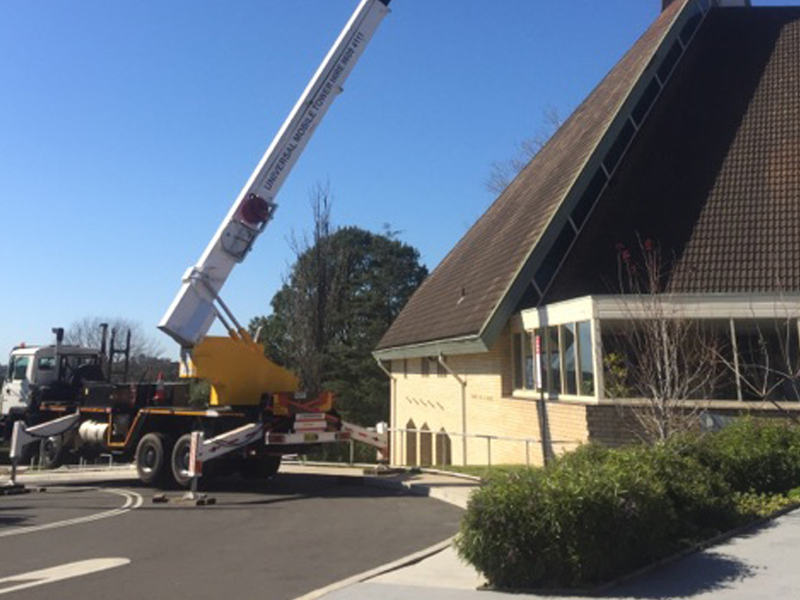 If your job requires you to use access machinery on a regular basis, it may be more cost effective for you and/or your personnel to obtain a WorkCover EWP Licence to operate booms over 11 metres. 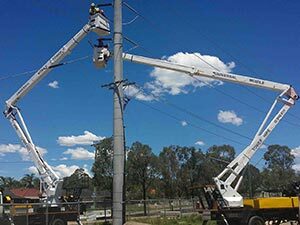 Universal works with approved trainers who conduct the courses and exam required to obtain this licence. 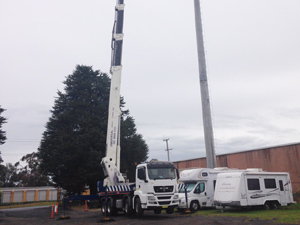 Call us on 02 9609 4111 for information packet to be sent out to you on how to get your licence. 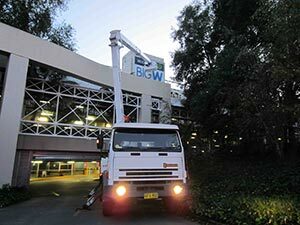 We will supply machinery to any site at any time of day or night. 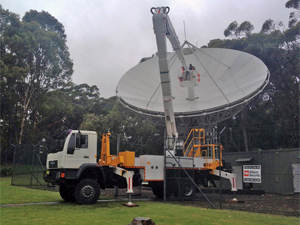 Our telephones are answered by our own personnel 24 hours. 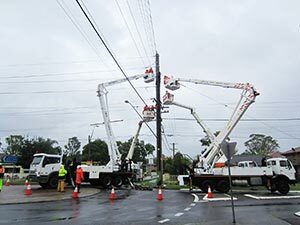 If you call you will be speaking to someone who can actually solve your problem, not simply take a message. 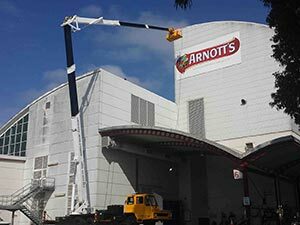 Please note that if you do not have an account with us a credit card will be required to secure payment. 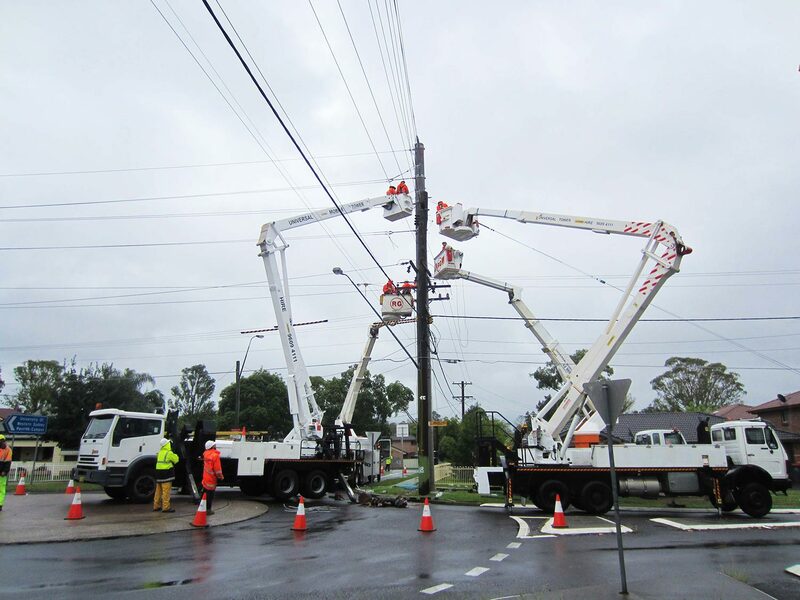 We do not accept cheques for COD accounts due to high percentage of defaults in recent years.